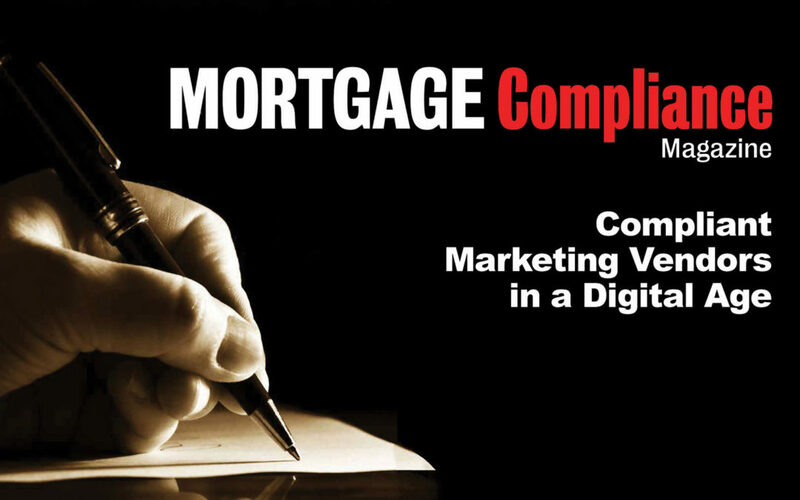 I remember the dread that came over my team when one of our mortgage clients informed us that they were going through an audit and very soon and needed all marketing communications that had been sent out since they started using our system. Frantically the team pulled all materials together within the time frame requested, but overall we should have had a process and technology in place to fulfill the client’s request. At the time I was working for a customer relationship management company. The process was extremely manual and seemed to be using endless internal resources from our accounts, sales and marketing teams. We were not prepared for that volume of work and didn’t have a detailed plan set in place for how we would deal with compliance issues in the future for our clients. Technically the lender is responsible for providing all marketing material if an audit takes place, but at the time we were providing automated marketing services on their behalf and should have built or should have made plans to build this functionality out. There are so many areas to consider when building the right infrastructure for a Mortgage Lender. The CFPB is only one of the concerns when considering compliance. Fannie Mae is also overseeing MORA reviews. Lenders now need to consider investor requirements including: underwriting & appraisal, origination channels, structure & governance, close/post-close, quality control, compliance internal audit, secondary marketing, technology and business continuity. In this environment of regulation, oversight and enforcement controlling what you say and how you say it – has never been more important. Having complete control of your message and the formats in which they are presented is critical. Many mortgage companies now understand that to protect their business from closure, their sales and marketing teams need a structural framework that complies with the Consumer Financial Protection Bureau (CFPB) regulations as well as the American Institute of Certified Public Accountants (AICPA) and Service Organization Control (SOC) standards as well. Mortgage lenders need to be hiring the right professionals to set up the right digital technology that will be scalable over time. I think some of the biggest challenges that companies are overcoming is identifying the “Best Mortgage Solution” and getting all top performing loan officers on board. We all think we have the right answer or solution when we do our research or are comfortable with our process or the systems we use, but not growing with the times hurts your company, you and your career. In every industry we need to be accepting trends in marketing, digital technology, processes and system growth. Understanding what your requirements are today and keeping site of what you want/need in the future is key. Create a plan from where you are today and identify how you will get to the goals you have in a year, five years and ten. Obviously it’s very important to be fluid as regulation, business, marketing, technology and processes change. Isn’t that how complete business strategies are built? Unfortunately some companies invest in vendors realizing too late that the system is not what they need in all areas. I have heard many stories about companies starting with one vendor and then going through two more vendors year after year. Vet out all of your requirements, needs and wants and audit your vendors ongoing. Don’t just choose a vendor because you’re longtime friend is using the same vendor at their organization. Ask the reason “Why”? Why is this the best system for my company and how will it work into the overall business model? If your vendors are not growing with you or current digital technology, you are falling behind your competitors, missing out on opportunities and are most likely not compliant in a changing environment. Find out if Unify CRM is the right choice for your company.